Real Madrid star Cristiano Ronaldo has been named as the highest-earning athlete for the year 2016, as per Forbes’ annual ranking. 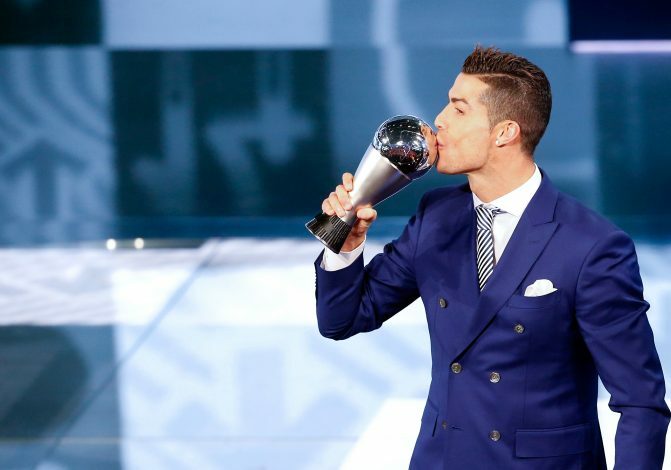 The Euro 2016-winning Portuguese captain earned a whopping $88 million in 2016, ahead of second-placed Lionel Messi of FC Barcelona, who earned $81m. NBA star LeBron James followed these two footballing heavyweights, with an annual earning of $77m. Ronaldo is not only the first footballer ever to claim the number one spot, but also only the second individual from a team sport to top the Forbes list since its inception back in 1990. Speaking of Ronaldo leading the list, Kurt Badenhausen of Forbes stated: “With Mayweather hanging up his gloves and Woods hampered by injuries, there is an opening at the top. Filling the gap is the biggest star in the biggest sport on the planet. Ronaldo’s earnings rose substantially this year as compared to the year before (2015) when he earned $80m. However, him topping the list would not have been possible had it not been for the inactivity of boxers Floyd Mayweather and Manny Pacquiao, who earned $300m and $160m in 2015 respectively. Other footballers to join Ronaldo and Messi amongst the topmost earning athletes are Barcelona’s Neymar, who sits in 21st place with an annual earning of $37.5m, Manchester United’s Zlatan Ibrahimovic at 23rd ($37.4m), Real Madrid’s Gareth Bale at 25th ($35.9m), and lastly, England and United captain Wayne Rooney at 49th ($26.1m). Note: These tallied earnings by Forbes consist of the player’s salaries, prize money, and bonuses paid out between June 1, 2015, and June 1, 2016. Taxes or agents’ fees are not deducted, and investment income are not included.